Nadia Washington is a jazzy singer/songwriter Born and raised in Dallas, TX, Nadia began showing sighs of an entertainer at the age of 2. As far back as she could remember, she was surrounded by some of the premiere musicians of the Dallas Metro-plex. Of course one in particular would be her mother, Nelda Washington, who took the hotel bar and lounge circuit by storm in the late 80s and early 90s. Being a single parent, her mother would bring her to studio sessions and some hotel gigs. This was the beginning of her education. “When I was an infant, I would watch her work intently and would never make a sound. It was mesmerizing to watch my mother perform.” At the age of 5, Nadia had her first performance at a church that seated five thousand. This was the start of her passion for performing. As she began to really get serious about her craft, her mother would invite her to sing along with on some gigs. Eventually, Nadia began singing with her in studio sessions for clients such as Frito Lay and McDonalds. She has also been involved in numerous studio sessions with various major recording artists like David and Tamela Mann of the new television sitcom “Tyler Perry’s Meet the Browns.” By the time she hit her teen-age years, Nadia found a new passion. That passion was Jazz Music. At the age of 15, Nadia was accepted to Booker T.Washington HSPVA where she could learn more about the music that mesmerized her. Attending this school led her to many more opportunities that gave her national recognition- winning 2 Down Beat Student Music Awards and the National Foundation of the Advancement of the Arts. In 2006, she received The Monterey Jazz Festival Outstanding Jazz Vocalist award and participated in the Grammy Jazz Ensemble. Nadia was then accepted to Berklee College of Music on the Bill Cosby Presidential Scholarship. “I was so honored and blessed to receive such a scholarship. I still can’t believe it to this day.” During her college years she experienced things that she could not conceive in her high school career. While in Boston, Nadia has made a mark on the coasts of America, playing at the Blue Note in New York as well as the Vibrato Jazz Club in Bel Air, CA. She was an affiliate of many ensembles, most notably the Terri Lyne Carrington, Greg Osby and Ralph Peterson Ensemble which has toured along the East Coast in cities like Washington D.C. She has appeared as a guest vocalist for many occasions including a musical tribute to Dave Brubeck in 2007. 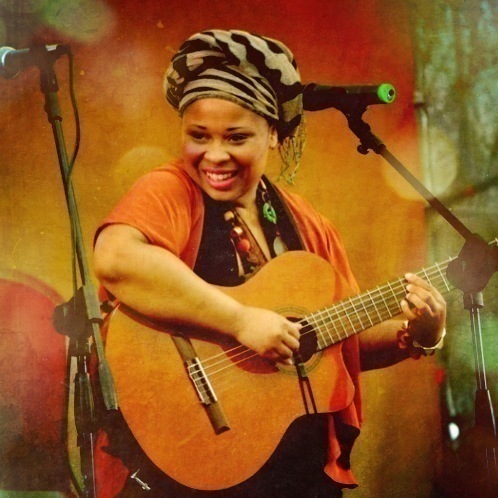 Nadia was a featured performing artist in the Trinidad and Tobago Steel Pan and Jazz Festival in 2008. She has appeared as a guest vocalist for many occasions including a musical tribute to Dave Brubeck in 2007. Nadia was a featured performing artist in the Trinidad and Tobago Steel Pan and Jazz Festival in 2008. Shortly thereafter, Nadia played the role of Billie Holiday in the musical “Love and Hunger: Tribute to Billie Holliday” featuring special guest, Dee Dee Bridgewater. Nadia appeared as guest vocalist on a national release of gospel recording artist Greg O’Quinn’s “After the Storm” by Universal Music Christian Group/Pendulum Records 2009. Most recently, Nadia had the opportunity to sing with legendary jazz pianist Kenny Barron in the 2010 commencement ceremony at Berklee College of music. 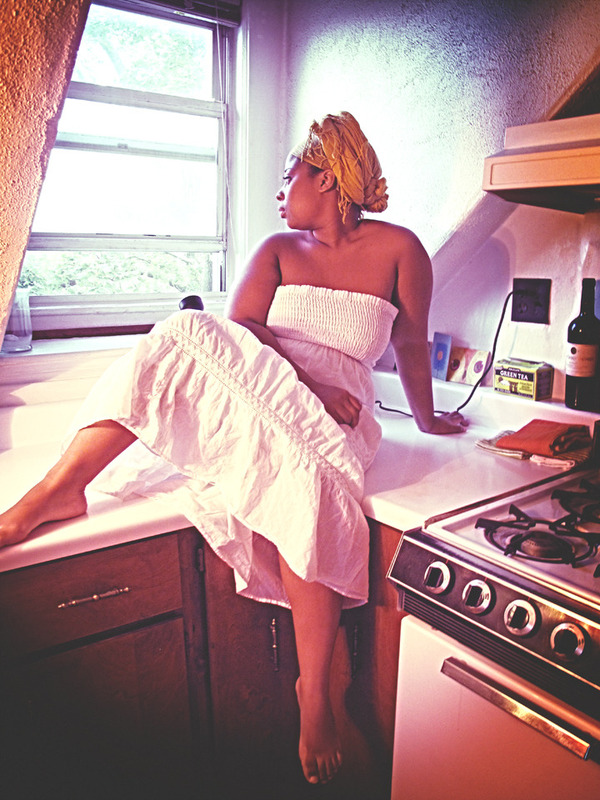 Nadia Washington is among the prominent artists that connect the lines between music’s heart and soul. 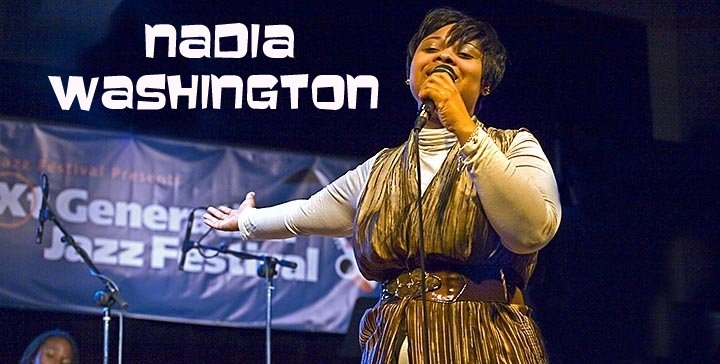 With musical influences ranging from the rock group, Queen to Yolanda Adams, and most significantly, her mother Nelda Washington, now at the age of 23, Nadia is continuing to nurture and hone her unique sound.